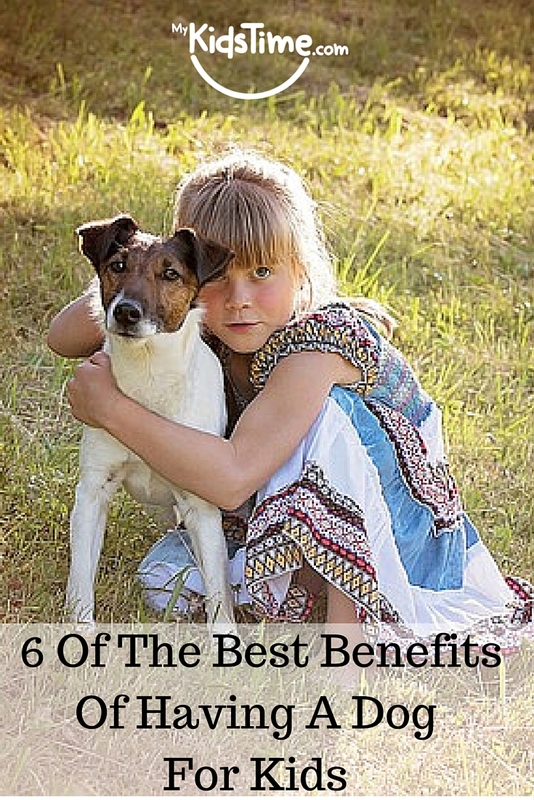 6 Of The Best Benefits Of Having A Dog For Kids. 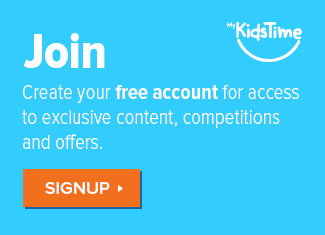 Are you coming under pressure from the kids for a family dog? Wondering if it’s time to yield to their demands?! 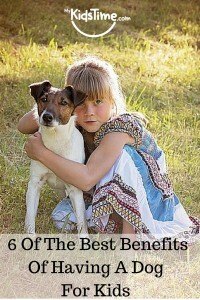 Proven to lower family stress, here are 6 more of the best benefits of having a dog for kids, which might just start you on the process towards finding them a new best friend sooner than you thought! There is nothing better than having a four-legged companion in your family – a furry friend that will show you nothing but unconditional love and affection. 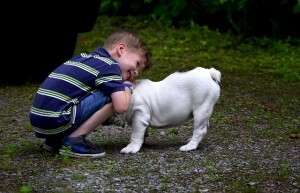 Dogs really are a man’s best friend – they are part of your family in a way no other pet can be, and they offer many benefits to children as they are growing up. 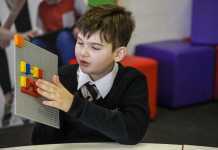 Not only do they provide a harmonious family dynamic and lower stress for the whole family, they are also beneficial to the physical, social, emotional and cognitive development of your young children. If that hasn’t already encouraged you to start searching online for dogs for sale, here are six things that growing up with a dog will teach your children. Dogs teach children to look after something other than themselves, as they require feeding, exercise, and affection everyday. Therefore your child has to consider their needs. Are they hungry? Do they need to go outside? Do they want some attention? It is a fun learning experience that will teach them simple tasks from keeping their food or water bowl topped up, to grooming or walking them. Caring for a pet requires compassion, understanding and empathy. Your children will learn to be kind and take care of the basic needs of others. Having something that relies on them and being able to fulfill those needs, will help to increase your child’s confidence. Studies have shown that children with autism have made substantial progress with social interactions when they spend time with a dog. Just by being there, your pet offers your child the opportunity to practice socialising and talking with others- it’s often easier to strike up a conversation with another dog owner. 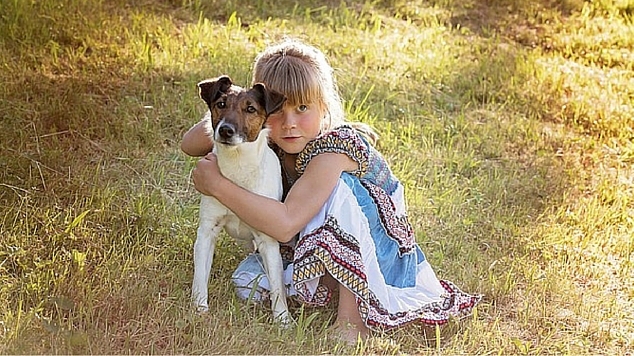 A dog is a child’s best friend and offers a confidant that won’t judge when they feel no one else will listen. This will be the first step to helping your child build trust in other relationships. Your dog can actually play the role of learning companion – studies have shown that animals can boost academic skills, as pets are a far better reading companion for a child to practice with, than an adult. This is just the start of what your dog can teach your child. Remember though that owning a dog is a long-term commitment, and if you are not ready for the responsibility that comes with owning a dog, pets like hamsters and fish can also be beneficial to your children. Recommended Reading: What Are The Best Pet for Kids To Get First? Over to you! Do you have a dog? Share the benefits you have seen from dog ownership in the comments below.